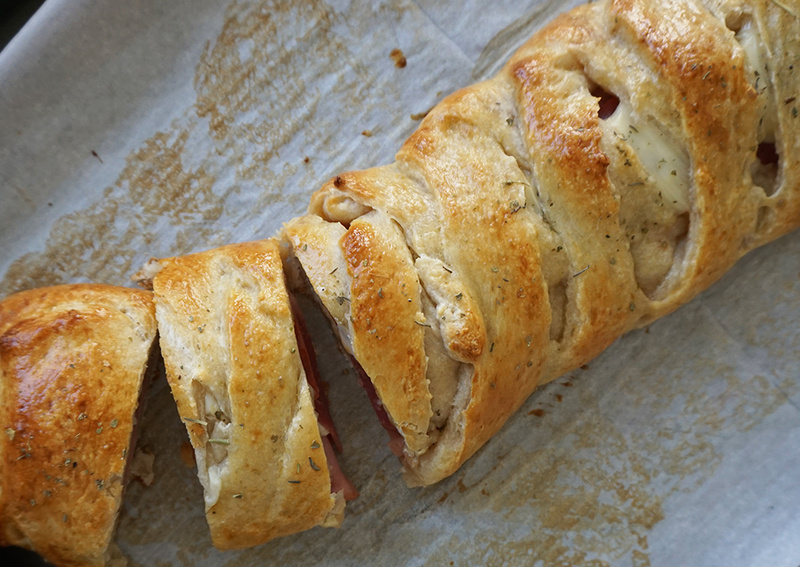 A sandwich is a sandwich, but sandwich fillings baked up in braided, seasoned dough is a Stromboli. Or maybe a calzone, depending on what you put into it. 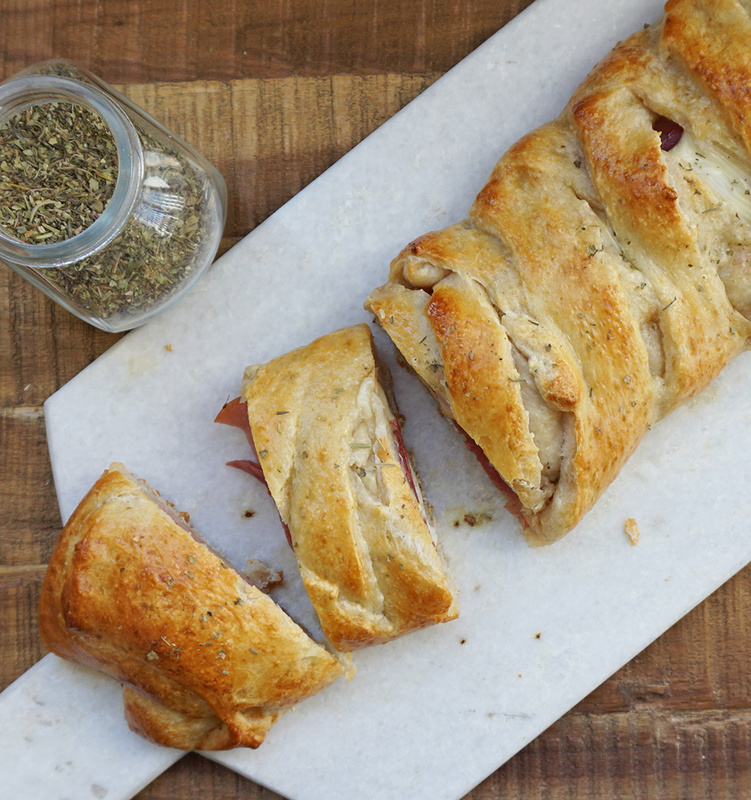 Either way, this small carb change makes all the difference in this Italian Stromboli recipe. Using pre-made pizza crust dough takes this easy recipe into seriously simple weeknight meal territory. I even made it a day ahead of time once and baked it right before serving. Fastest meal ever. I decided to braid the dough because it’s so simple and makes it look way schmancier. All you have to do is cut diagonal slits into the sides of the dough with a really sharp knife and then later them over the fillings. 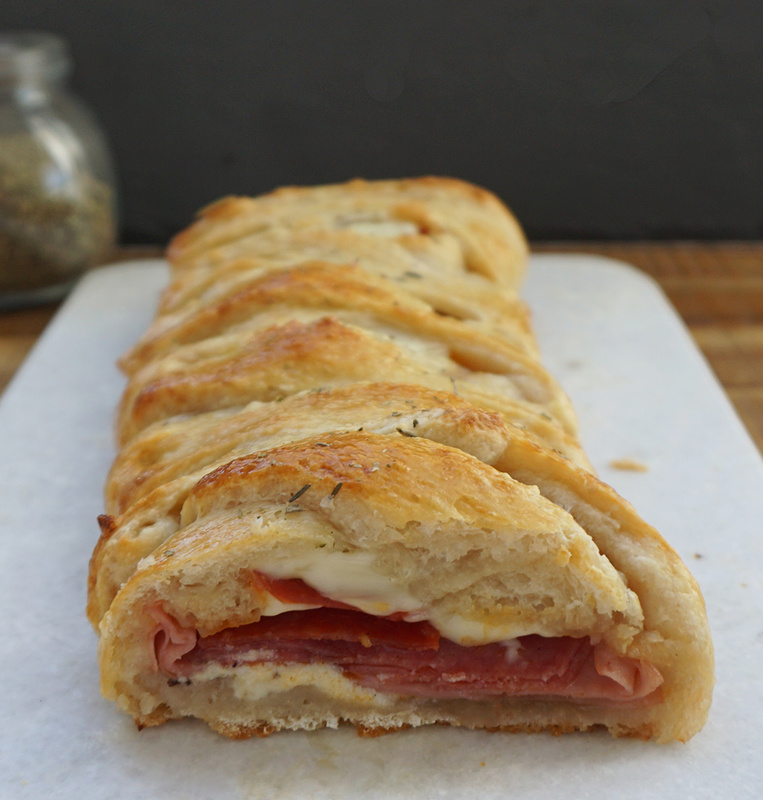 To fill this Italian stromboli, I used some deli ham, hard salami, pepperoni, provolone, and a Parmesan/ricotta mixture. But you can go wild! Add in olives, pickles, sun-dried tomatoes… whatever floats your boat. 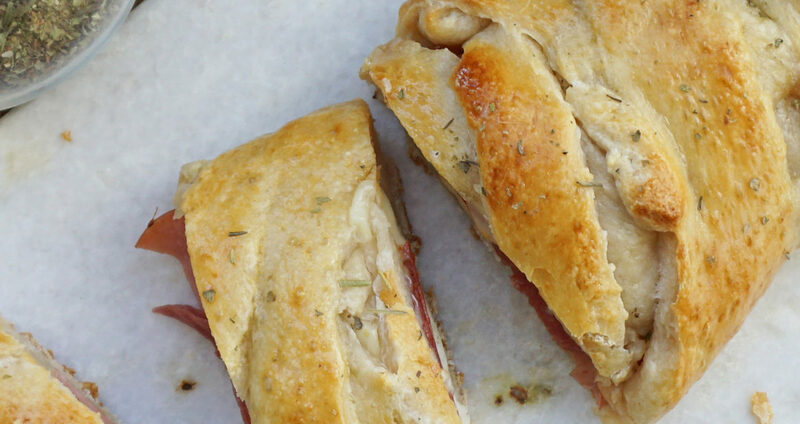 Clean out the fridge if you’ve already got sandwich fixin’s available. 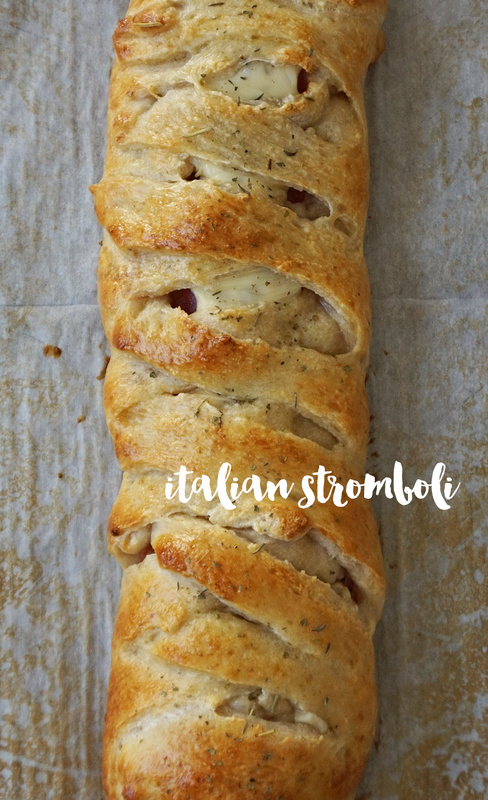 I like this Italian stromboli as a Friday night pizza alternative or as an easy lunch around the holidays. You could bake up four of these in an hour and feed an army. 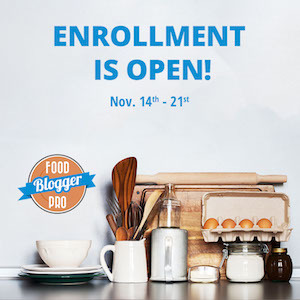 Want more recipes in your life? 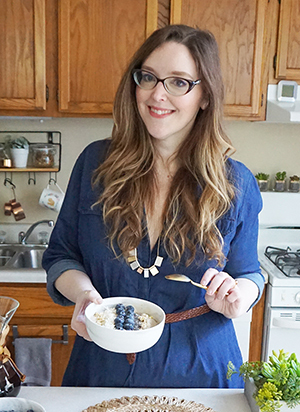 Sign up to receive recipes via email and follow along on Facebook, Twitter, Pinterest, Instagram, Bloglovin, and RSS for all of the latest updates. Preheat oven to 375°F. Line a large baking sheet with parchment. In a small bowl, mix ricotta with 1 Tbsp Italian seasoning, salt, and pepper. Set aside. Unroll dough onto cookie sheet. Cut angled cuts into each side of the dough as shown. 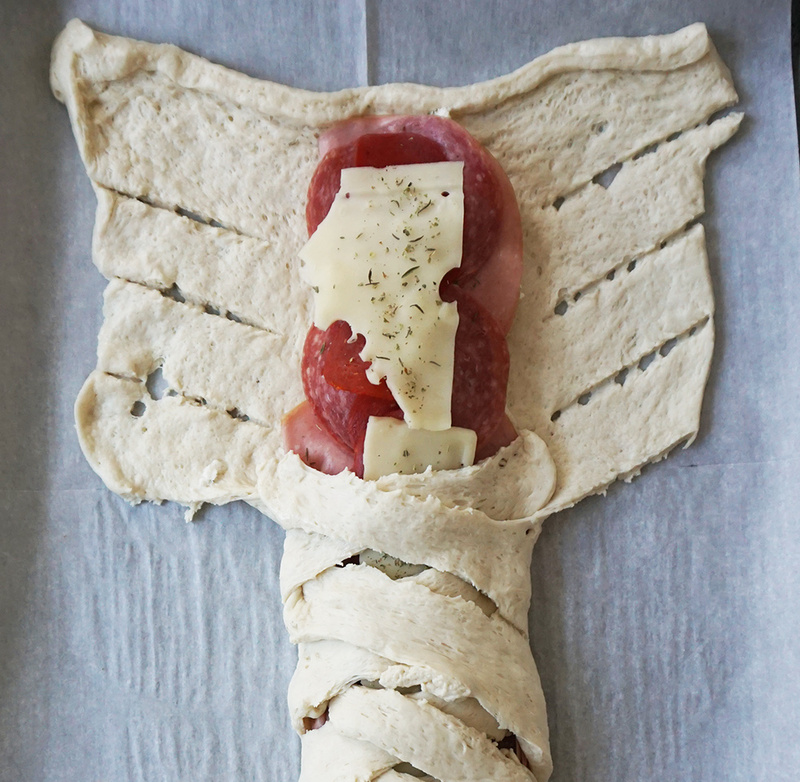 Spread ricotta over dough to within 1/2 inch from the edges of the cuts. Layer on pieces of cheese, salami, ham, and pepperoni on top. 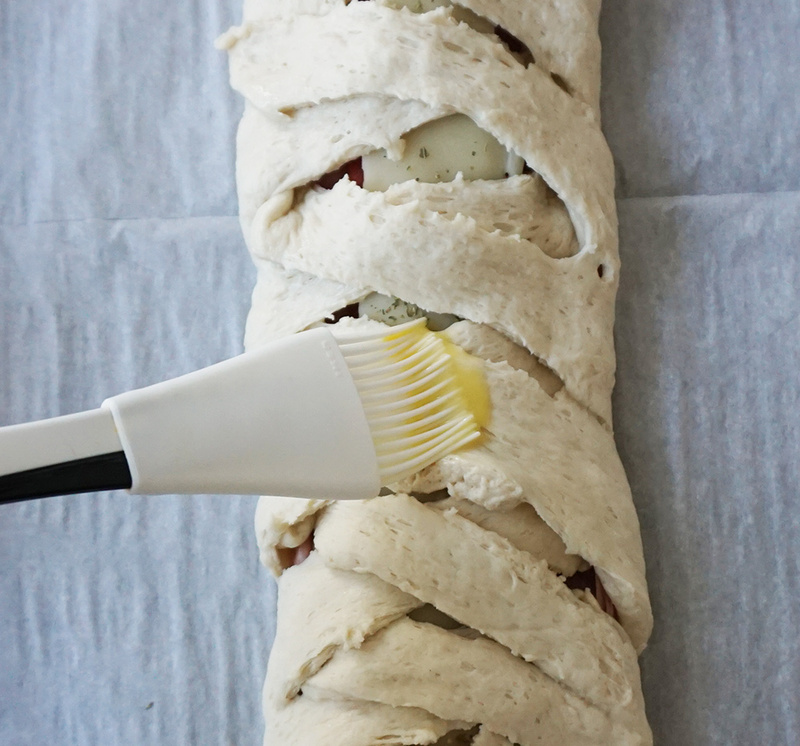 Fold over the dough in alternating pieces so that it forms a simple braid. 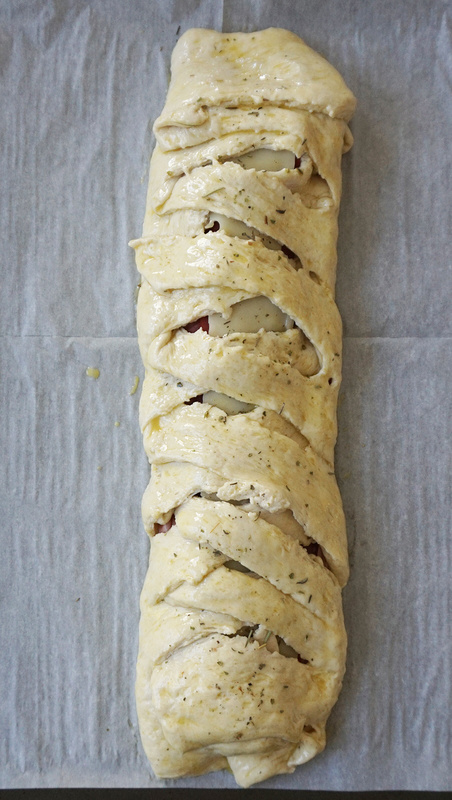 Tuck in the ends of the dough on each end to seal. Brush on the whisked egg on top and sides of the dough with a pastry brush and sprinkle on as much of the remaining 1/2 Tbsp Italian seasoning as you like and any more salt and pepper, to taste. Bake for about 20 minutes until golden brown. Slice with a sharp knife into pieces to serve. 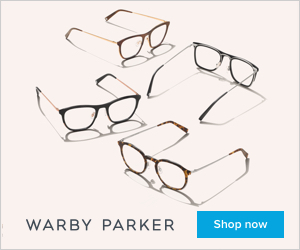 Serve alongside warmed marinara sauce and enjoy! I tried this out. After applying the first tablespoon of Italian seasoning to the top (to make a total of 3) I thought “This looks like way to much”. Are you sure that it was supposed to be 4 Tablespoons ? From the looks of your pictures you might have put 1/4 on. Please respond and let me know even if I’m in the wrong. Everything else about the recipe was great. We just scraped off a lot of the Italian seasoning and ate a great dinner. Hi, Bryan, thanks for trying it out! 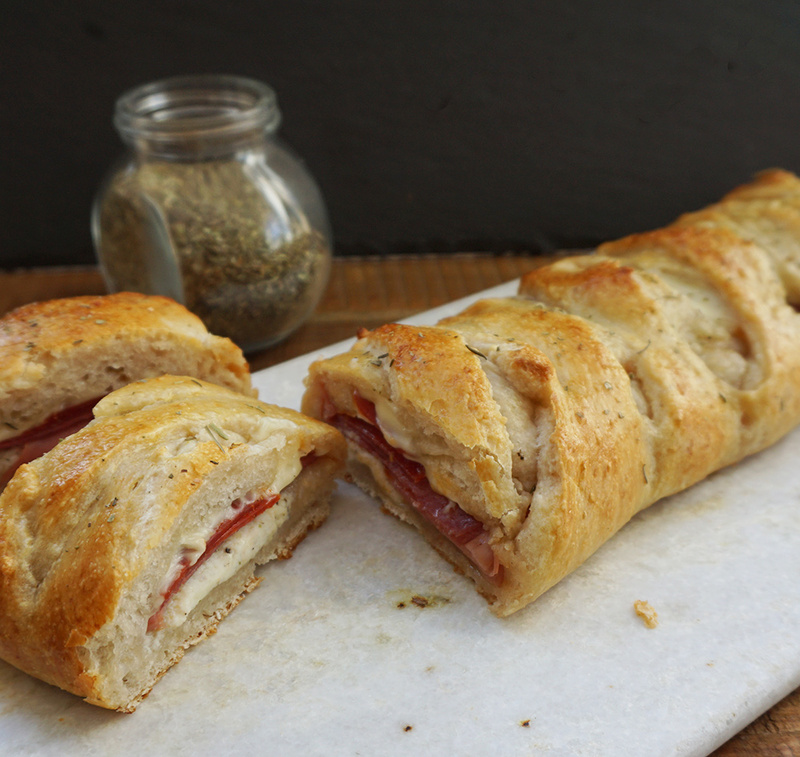 I did use the first 2 Tbsp on the inside of the stromboli, which cut the original amount in half. But you’re totally right that I most likely did use less on the top. I’ve updated the recipe to reflect that. Thanks so much for your help!